Have you ever been to afternoon tea with a princess? 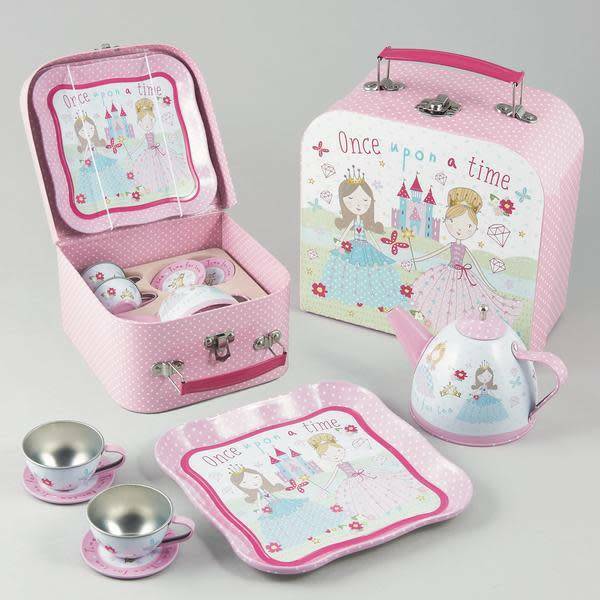 Well this 7 piece tin set has all a child needs to serve the perfect royal tea party. With a make believe recipe on the back of the carry case this really makes a superb gift.